Men and women see scars differently. While some men see scars as appealing and masculine, scarred women often feel a loss of attractiveness and femininity. It's no surprise that this feeling translates in their behaviour and quality of life. Scars limit women in situations like going to the beach intimate moments, and even looking in the mirror. As long as the scar is visible, the emotional burden remains. Time may heal all wounds, but the Mederma Proactive Gel helps to visibly reduce the appearance of the scars left behind with a Triple Restore Action that softens, smoothens & replenishes. You have fix-it products for zits and pigmentation spots, but what about your scars? These can stay on the body and face for a long time if we neglect them. Now there's a new scar treatment to reduce scarring! Mederma, the No. 1 doctor-recommended scar management brand in the USA, brings to you its highly-raved Mederma Proactive Gel, an great healing product that has been proven to help to visibly reduce scarring. Just recently launched this year, this proactive gel works on many types of scars - from operation and old-injury scars, and even acne scars! 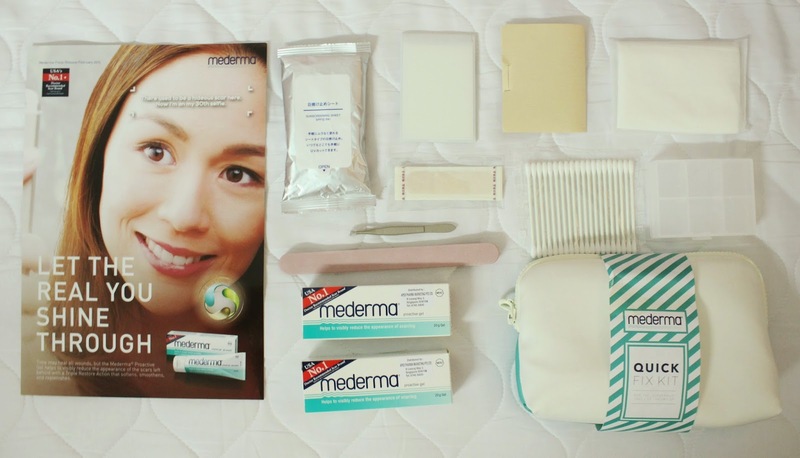 For this special launch, Mederma has put together a Quick-Fix Kit, for those little emergencies and curveballs that life throws up, including, of course, the Mederma Proactive Gel. 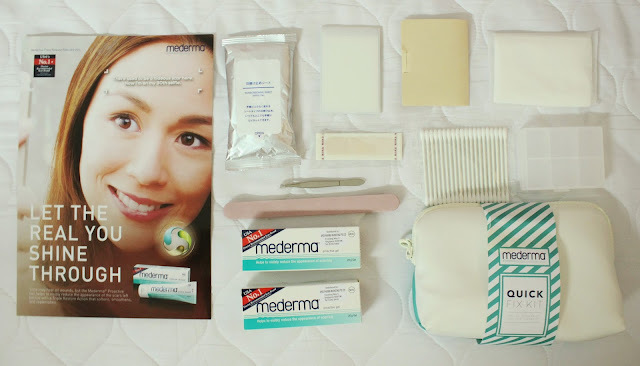 Check out the Mederma Quick-Fix Kit that was sent to me! I was so impressed by the things they included inside! Totally suitable for everyday use. AVOID extreme temperatures for 6 months to a year. Do not go to saunas or stay outside when it is very cold - this may negatively affect the regeneration process of the skin. Make sure you cover your scar well when you go out in cold weather. 2. Regularly massage helps to support the healing process of the skin. 3. Contray to popular thinking, sunlight does not fade scars. In facts, Dr Sunga recommends that you not expose your scar to the sun, as scar tissue does not produce melanin to shield the skin against UV radiation. Always use sun protection when exposing your scar to UV rays. 5. Let Mederma work overnight. For large scars, the use of a gel dressing is recommended. Soften the scar tissue first using lukewarm , moist pad. 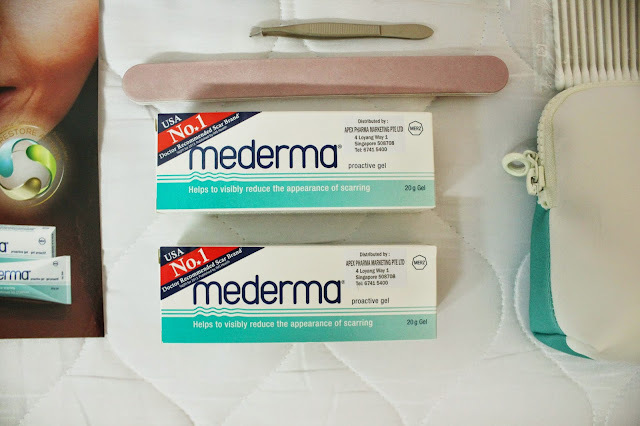 The apply Mederma Proactive Gel in a moderately thick layer. Gently massage the gel over the car , cover the area with thin kicthen foil. Put a dressing on top of this. Then simply leave the gel to work overnight. DO SOMETHING ABOUT YOUR SCARS TODAY!